Elmhurst Toyota wants to remind country music fans to mark their calendars for Saturday, Nov. 11. That’s the day of the Country Music Salute to Veterans. This Veteran’s Night celebration and charity fundraiser will benefit Love Christian Clearinghouse and local veterans’ groups. 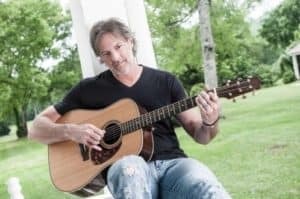 The Country Music Salute to Veterans features country music recording artists Darryl Worley and special guest Andrew Salgado. In addition to the music, there will also be a silent auction and a live auction. Participants can bid on collectibles and autographed items donated by the musicians. Darryl Worley was born in Memphis and grew up in Pyburn, Tennessee. A supporter of our military families, he has released six albums, with 18 singles on the Billboard Hot Country Songs charts. Three singles made it to number one: “I Miss My Friend,” “Have You Forgotten?” and “Awful, Beautiful Life.” “Have You Forgotten?” stayed in the number one slot for seven weeks. Nine other singles reached the Top 40. Andrew Salgado is a Chicago native based in Nashville. A country singer, songwriter and recording artist, Andrew will perform songs from his album “Absolutely Everything.” He was featured on WGN, NBC, FOX and CBS and has taped specials with ABC and PBS. Andrew collaborated with Brian Wilson and Kacey Musgraves on their duet “Guess You Had to Be There” and has worked with a number of country music’s luminaries. Enjoy the family-friendly patriotic themed drinks and delicious food from Shanahan’s Pub. We’re sure you’ll have a great time at the Country Music Salute to Veterans! Saturday, Nov. 11, 2017, 5:30-9:30 p.m.
Silent Auction begins at 6 p.m., with a live auction later in the evening. Admission is $50. Discounts for veterans, seniors and group purchases are available. Purchase tickets at loveinconcert.brownpapertickets.com. Visit www.love-cc.org/concert or contact Anne Marie at 630-512-8673 or amschuster@love-cc.org.